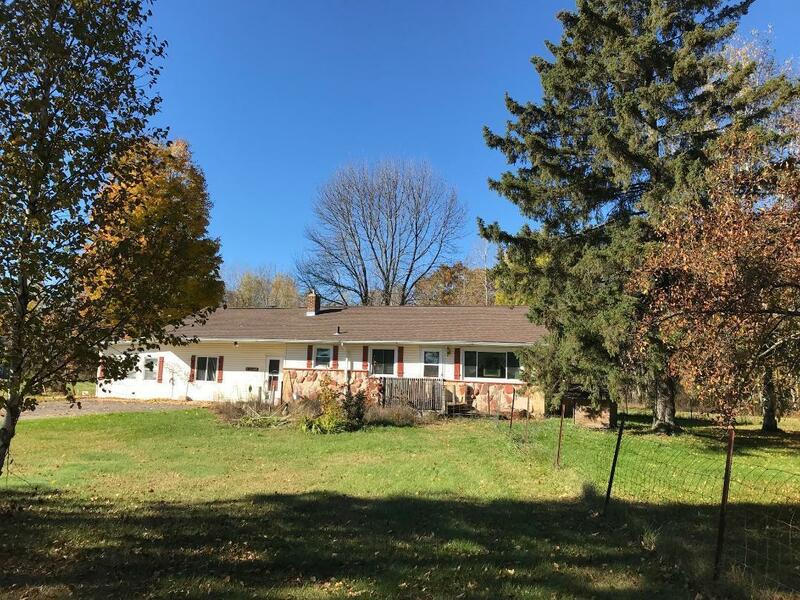 AMBERG---34 acres with 2 bedroom, one bath home. Roomy kitchen/dining area, and nice carpeted living room having fireplace but no chimney. Third finished bedroom in basement. Large cozy family room with wood heat and southern exposure sun room. 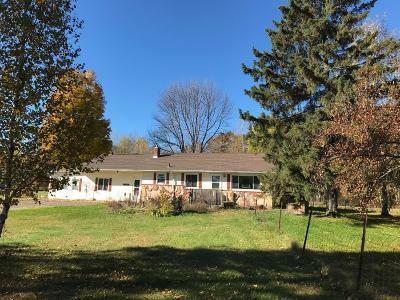 2 car garage, barn with fenced pasture and metal storage building. Apx 1100 ft of Highway frontage. Great for commercial venture or hobby farm.